The Internet Corporation For Assigned Names and Numbers (ICANN) has approved plans that will make sweeping changes to domain names. This article includes what your business needs to know to prepare. The ICANN Board of Directors approved a plan to dramatically increase the number of generic top-level domains (gTLDs) – from the current 22, which includes such familiar domain extensions as .com, .org and .net – to any number, if approved through the ICANN process. Hundreds could be approved next year. 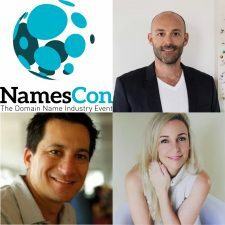 How do you – as a domain name owner – increase the value of your domain names by 100, 200, or even 400 percent? That’s the secret I’m going to share with you today. The secret applies to brandable domain names, like flickr or Google or Disqus. I suppose it could apply to keyword-specific domain names like buy-a-wedding-ring-now.com, but not as much and it would have to be a short generic domain name.